We know that God heals today. He heals through the procedures, and wisdom, and medicines He’s enabled careful researchers to discover. He heals through pastoral counseling, and massage, and chiropractic or osteopathic adjustments, and wise nutritional and dietary counseling, and more. He also heals through prayer — sometimes in conjunction with medicine and with the procedures just mentioned and sometimes when these are not working. He heals through prayer sometimes gradually and quietly, other times instantaneously and dramatically. We’ve seen all of these. We offer prayer for healing (and for whatever else you desire) at the end of every Bible study and service we offer. 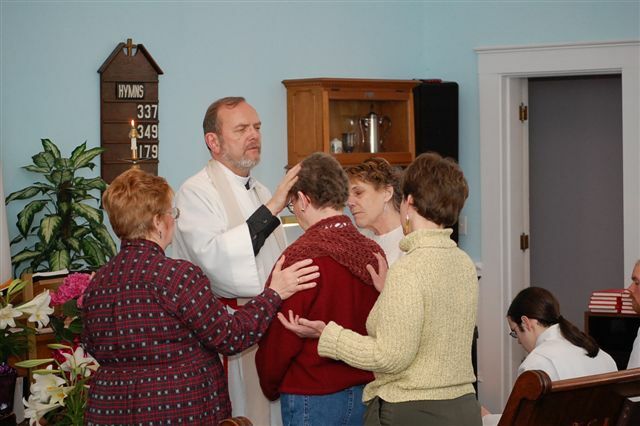 On a few occasions the healing ministry is a central part of the service of worship. On Saturdays May 1 and 15, June 5 and July 3 we join with the weekend services of worship with Trinity Church to offer healing services. These are Saturday dates and the service starts at 4:30 p.m. It’s held at the Newton Junction Baptist Church, 18 West Main Street, Newton Junction, New Hampshire. Canon Mark goes on the road numerous weekends a year to lead conferences of various kinds. (Maybe your church would like to invite him. Email him at canonpearson@yahoo.com.) 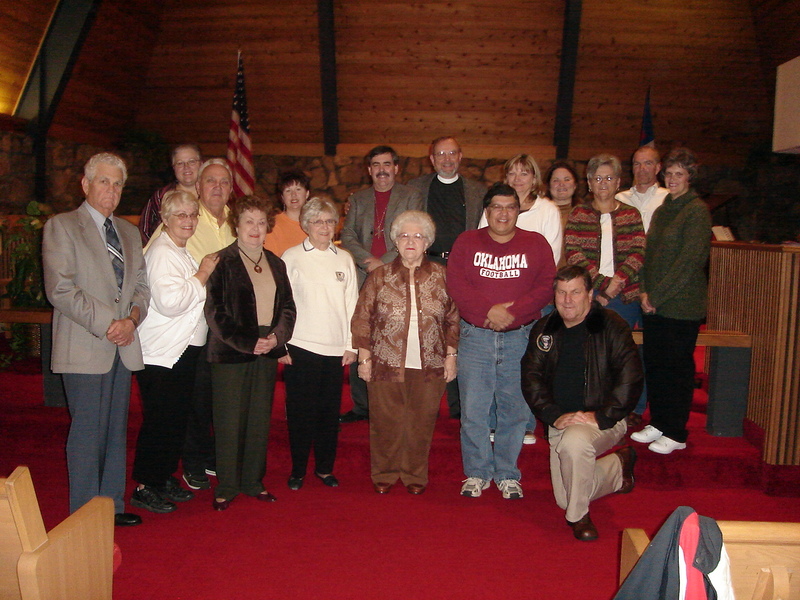 Here he’s with a group of people at the Henryetta United Methodist Church, Henryetta, Oklahoma a few years ago. We own 8 acres of land and it’s been fun to see what God wants us to do with it. The far end of the property abuts a duck pond called Mill Pond. (If you go north of the property about 1/3 of a mile you’ll come to Pond View Restaurant. It’s the end of the same pond.) 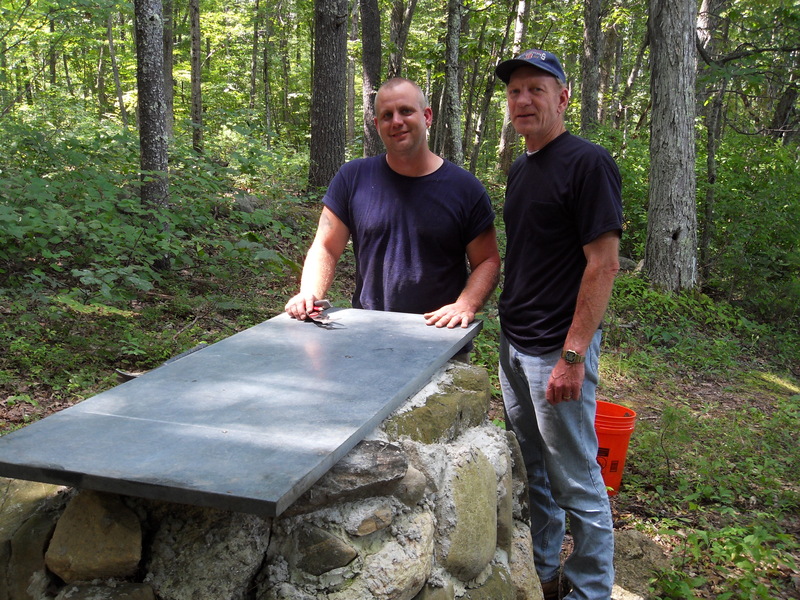 Over the past few years a stone altar has been built there. This summer the sloping land will be terraced and in the terraces benches will be erected for seating at what will be outdoor services of worship. Stay tuned as we provide both news and photos. Some of the rooms of the Healing Center have been donated in whole or part by friends of this ministry, in thanksgiving for something or in loving memory of someone. Dr. Mary’s friends and family helped donate her office. 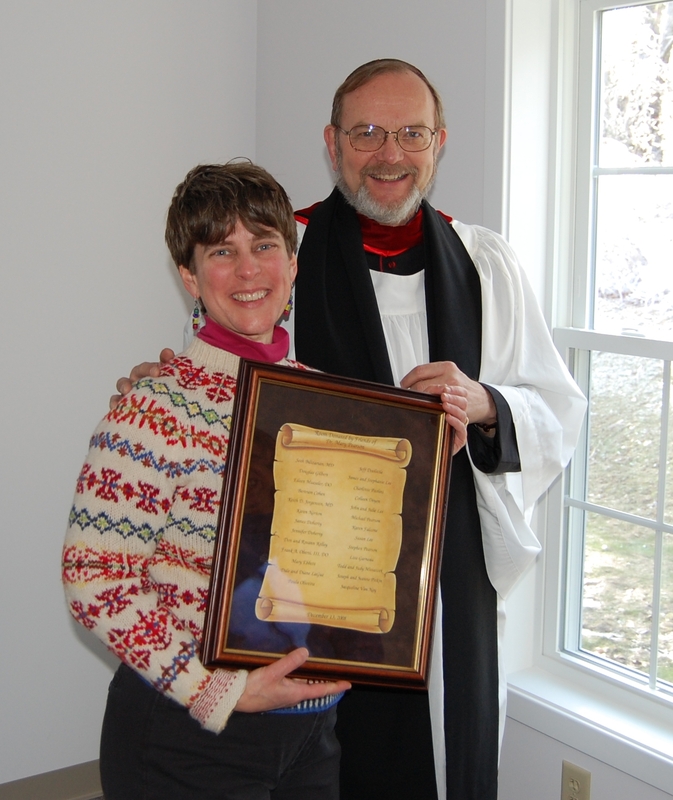 Here on the day of the dedication of the building in December of 2008, her husband, Canon Mark Pearson, presents her with a certificate with the names of the donors. All of this happened without her knowing it. She was quite surprised and so appreciative.